The program seeks to serve all students in a caring educational environment which fosters the intellectual growth of all students concerning wellness for life, and develops critical thinking skills, positive attitudes, and personal responsibility in all students toward leading productive and healthy lifestyles. The Health and Human Performance Department's goal is to develop certified Physical Education teachers who are engaged in their professional endeavors and who are able to impart knowledge and skills to diverse populations in a variety of educational settings. Learning takes place best when there is an emotional attachment; therefore, students need to be engaged in the curriculum. Attitudes are caught, not taught. Teachers must be excited about their courses and the environment in which they teach. As we learn to move, we move to learn and we all have the responsibility to become aware of and learn to respect diversity among people. 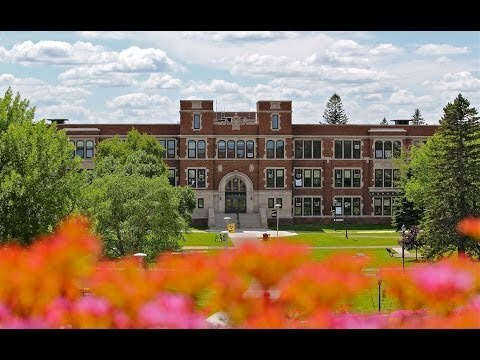 UW-Superior's Physical Education major, EC-A Licensure program, prepares students for teaching physical education at a variety of grade and ability levels, following the teacher certification policies and guidelines established by the UW-Superior Teacher Education Department. The program prepares students for licensure in the state of Wisconsin, which is also accepted by many other states. Many Physical Education students enhance their employment options by completing minors in Coaching, Health Education or Exceptional Education.